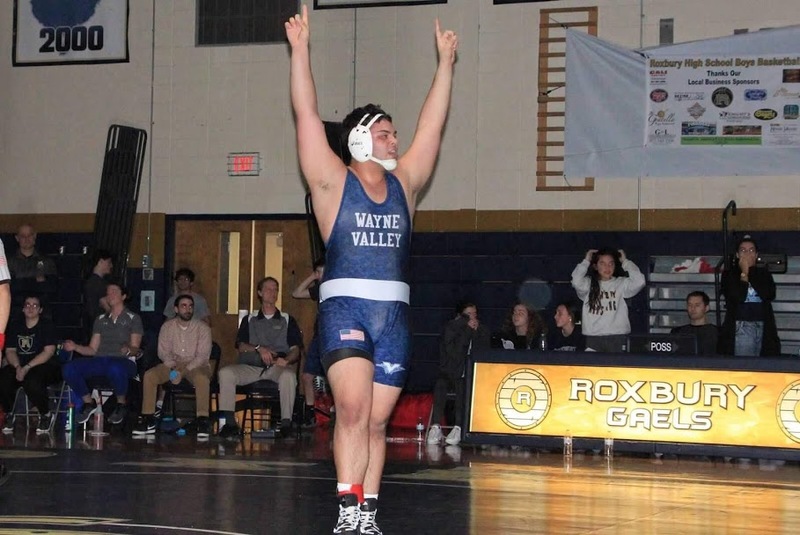 The team and individual aspect of wrestling was never more obvious than with Jordan Botero’s win to clinch a state title for Wayne Valley | Mike Lamberti, From Margate To Cleveland, And Back ! For Jordan Botero, the pressure of wrestling in the final bout, with a state sectional final on the line, in a 4-overtime match, in front of a hostile crowd, was never a problem. It was all about his teammates. “I’m out there for them,” Botero said, after he escaped with 2.8 seconds left in the final overtime to win his heavyweight bout and provide second-seeded Wayne Valley the North 1, Group 4 championship, with a scintillating 33-31 win at top-seeded Roxbury. And for Botero, the moment was never too much. It was business as usual, as he witnessed teammates Nick Trani, Dan Murphy, Reid Colella, Elijah Lugo, Matt Jimenez, Ryan Hammer and Sean Hammer pick up big wins to set the stage for that final match.